This antibody is specific to class I ARF. 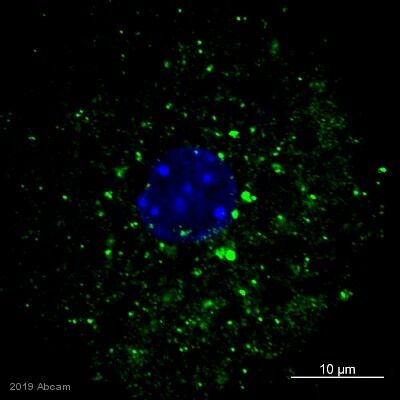 BALB/3T3 whole cell lysate (ab7901) can be used as a positive control in WB. Our Abpromise guarantee covers the use of ab11038 in the following tested applications. WB Use at an assay dependent concentration. Predicted molecular weight: 22 kDa. ab11038 detecting ARF1 in AGS Human gastric carcinoma cells by sandwich ELISA (detection). Samples were blocked with 5% BSA for 1 hour at 23°C and were incubated with the primary antibody (1/200 in blocking buffer) for 16 hours at 4°C. Anti-mouse HRP (ab6728) (1/1000) was used as the secondary antibody. IHC image of ab11038 staining in human normal liver formalin fixed paraffin embedded tissue section, performed on a Leica BondTM system using the standard protocol F. The section was pre-treated using heat mediated antigen retrieval with sodium citrate buffer (pH6, epitope retrieval solution 1) for 20 mins. The section was then incubated with ab11038, 1µg/ml, for 15 mins at room temperature and detected using an HRP conjugated compact polymer system. DAB was used as the chromogen. The section was then counterstained with haematoxylin and mounted with DPX. ab11038 staining ARF1 in the Panc-1 cell line from Human pancreatic carcinoma by ICC/IF (Immunocytochemistry/immunofluorescence). Cells were fixed with Formalddehyde and blocked with 1% Donkey serum in PBST for 60 minutes at 22°C. Samples were incubated with primary antibody (1/50 in PBST + 1% Donkey serum) for 1 hour at 22°C. 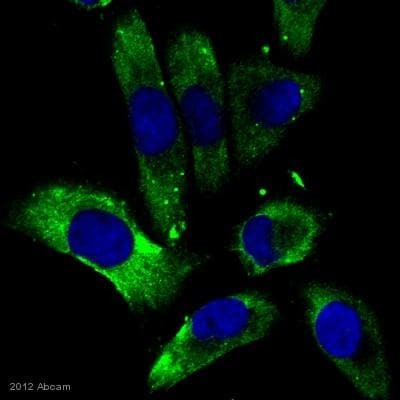 An Alexa Fluor®488-conjugated Donkey anti-mouse IgG polyclonal (1/200) was used as the secondary antibody. Publishing research using ab11038? Please let us know so that we can cite the reference in this datasheet. I am sorry to hear that you are experiencing issues with this. I was wondering if you could help me to understand this problem by providing a few more details. Do you know the amount of total protein you are loading per well? Are these experiments being run under reduced and denatured or native conditions? 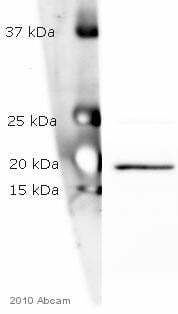 Have you attempted to use any different concentrations of this antibody? The image on our site was created using 1:5000 use a 1:400 may be causing non specific bands. What perturbations are you expecting and how are these produced? This product is covered by our Abpromise guarantee. We are happy provide scientific support at any time. If you are using the product in species and applications listed on the datasheet and contact us within six months of purchase, we are also happy to replace or refund the product should we not be able to help you to resolve the issue. Can you please check the queries ? I am a student. We had purchased ARFS-3F1 anti-ARF1 antibody (Abcam,cataloge no.-ab11038) from you. I wanted to equire about the exact size at which the antibody is expected to detect ARF1 in a western blot. I can confirm the ARF1 protein has a molecular weight of around 20 kDa. 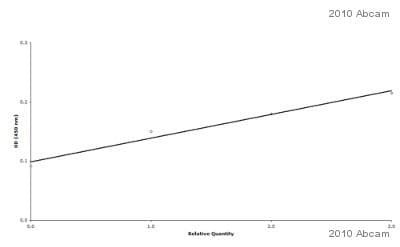 There is a Western blotAbreview published on the online datasheet, including an image which shows aband at about 20 kDa. Does your ARF1 antibody cross-react with other ARF isoforms? Thank you for your enquiry. The originator of ab11038 has told me that this antibody is class 1 ARFS specific. If you have any additional questions, please contact us again. Can you tell me any more about ab 11038 , ARF1 antibody? Like, does it recognise other ARFs? do you have any images of its behaviour in Westerns? has anything been published using this or "a very similar Ab"? Thank you for your enquiry. All the information that we have regarding ab11038 is located on the online datasheet. Unfortunately, we are not aware of any publications that feature the use of this antibody and do not have any images to provide at this time.